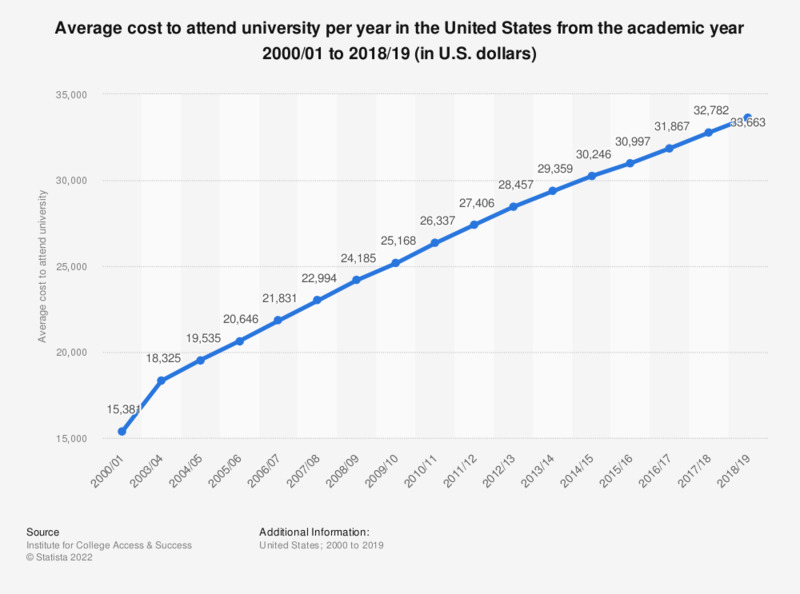 This statistic shows the average cost to attend university per year (when studying in-state and living on campus) in the United States from the 2000/01 academic year to 2016/17. Cost to attend university have been steadily increasing since the year 2000 and in the academic year of 2016/17, it reached 31,878 U.S. dollars. * The figures shown are an average of the cost when living on-campus and also when studying in-district/ in-state. Total cost includes: room and board, tuition and fees, books and supplies, personal and other transportation costs.